This tiny park, established March 16, 1956, protects an area of Ponderosa Pine, with grassland along Monte Lake. Note that no camping or day-use facilities are provided. 32 km southeast of Kamloops on Hwy #97. 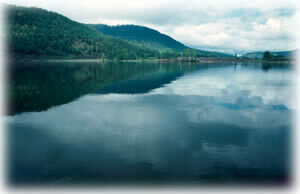 The closest communities to this park are Monte Lake, Kamloops and Falkland. An approved management plan for Monte Lake Provincial Park [PDF] is available in pdf format.